"Four" Dinner or any other meal! A "By The Numbers" pattern. A love of houses and trees creates this wonderful neighborhood. Let the fabrics shine through. 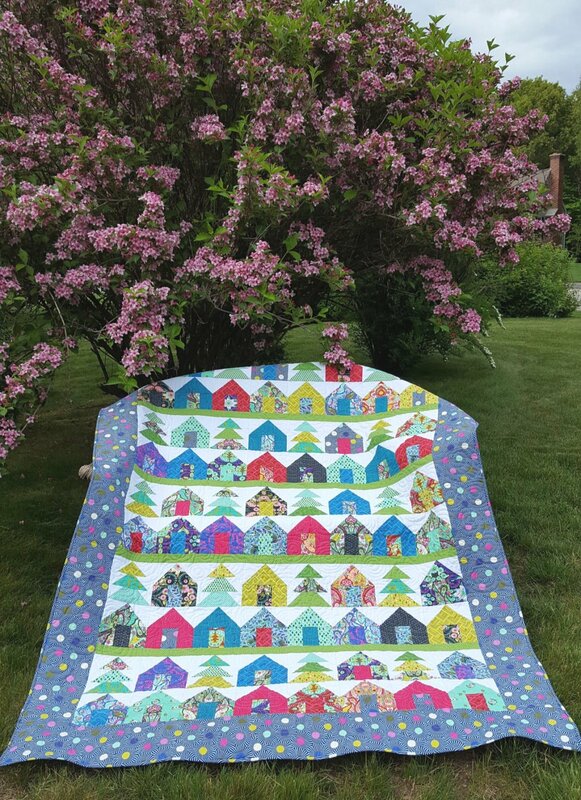 Great for a scrappy quilt with any "character" of fabric. Finishes 61" x 77". "Won't You Be..." My neighbor, of course!